World of Warcraft: Mists of Pandaria Beta is Live! The World of Warcraft®: Mists of Pandaria™ beta test has begun! Over the course of the test, we’ll be inviting Annual Pass holders, press, fansites, friends and family, and opt-in beta testers to participate. 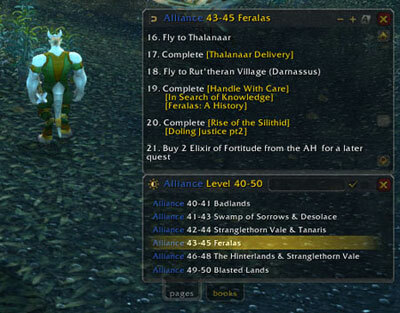 This first phase of the beta focuses on the 1-10 starting experience for new Pandaren. High-level content as well as template characters will become available in future beta updates, but you can still copy over your own high level characters now if you’d like to test the new talent system. As there’s no NDA for this test, you’re likely to start seeing lots of screenshots and new video around the web. Please keep in mind that the expansion is still in development -- we’ll be making changes to the game as the beta evolves, and what you’ll see during the beta test is not necessarily representative of the final game. Players selected to participate in the beta test will receive an email invitation directing them to download the beta client directly from their Battle.net account. As always, please be aware of phishing attempts -- if you’re unsure whether your invitation is legitimate, please log in to your Battle.net account to verify that there is a Mists of Pandaria beta license attached. To find out more about getting into the beta test, including info on how we’re inviting Annual Pass holders, please read the Mists of Pandaria Beta Opt-in announcement and FAQ. Next post: World of Warcraft®: Mists of Pandaria™ Beta Live!